The Redstreaks have long been called professional rodeo’s favorite band. Brown said they never know who is going to show up at one of their shows. Country Superstar George Strait has popped in to sing a number. Coors himself sometimes shows up and plays cowbells on stage. Three time saddle bronc riding champion Wayne “Hawkeye” Henson is a frequent visitor. Henson retired from the rodeo circuit in 1991 after breaking his neck (he has fully recovered). He spent 22 years as a pro bronc rider, winning world championships in 1975, 1976 and 1982. Henson, who has sung professionally, says he has known the Redstreaks for more than 20 years and occasionally gets on stage and sings a risquÈ song or two. Jackman attributes the bands success, in part, to cowboys who appreciate a change. “The average cowboy goes to dozens of rodeos each year, and even though they enjoy progressive country music that usually play in the nightclubs, for a change they enjoy getting crazy with some good ol rock ‘n’ roll”, he said. The difference between the big name show room acts and the Redstreaks is that at the StarDust, fans can go wild while the audiences at the casino shows have to be more reserved. 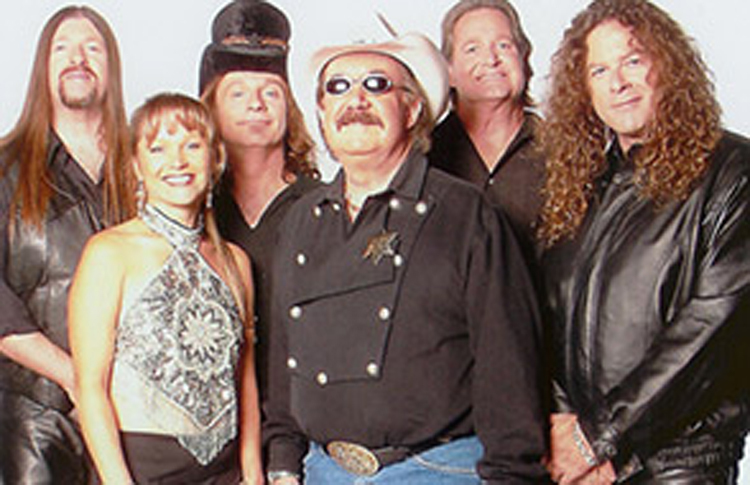 Brown said the band spends about 24 weeks a year on the road, playing rodeos and non-rodeo dates. They frequently come to Las Vegas and some of the band members live in Las Vegas, while the others live in Northern California. They say they have managed to stay together all these because they work hard at it. “It’s a marriage,” Brown said. “It has its ups and downs”. Bottom Line: They say they are having as much –if not more- fun now then they did when they first hit the road and had to play fifty weeks a year to make it.